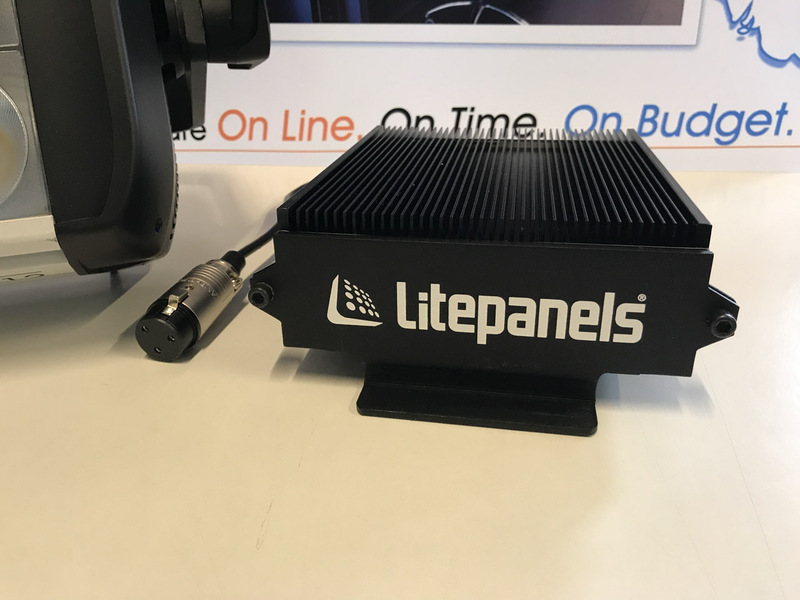 The Litepanels Hilio D12 (Daylight Balanced) panel delivers the best of both worlds, combining the flexibility of an open source fixture with all the benefits of Litepanels’ proprietary LED fixture designs. These innovative panels emit a raw, narrow beam that provides the high intensity you need for long throws. With an array of optional accessories, this intensity can be harnessed and shaped to light an exterior, wash a set with soft light, or illuminate a cyc wall or green screen. 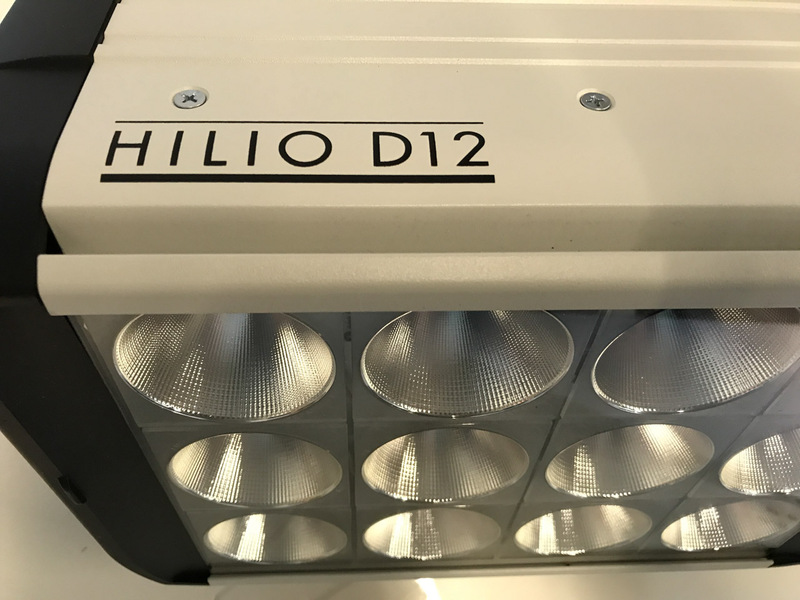 The Hilio D12 is four times brighter than the previous version of Hilio. 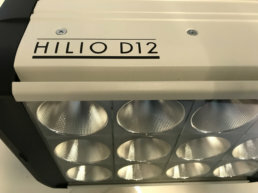 There’s no need for a heavy ballast or cabling, as the environmentally friendly and energy efficient Hilio D12 fixture draws only 350 watts of electricity, but deliver the output of a 575W HMI Par. 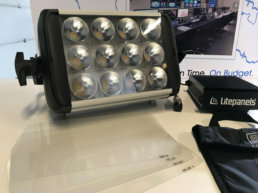 High intensity, a narrow beam, and a wide range of accessories make these versatile fixtures essential in Broadcast Studios or on Feature/Episodic/Commercial location shoots. Low power consumption, reduced HVAC requirements, and no associated bulb replacement costs contribute to a return on your investment (ROI) in less than three years for typical studio applications. Incredibly energy efficient, these panels draw only 350W but are comparable to the output of a 575W HMI Par. No UV or infrared wavelengths are emitted by any of our fixtures. Microprocessor operated, active cooling system that automatically adjusts to the ambient temperature. 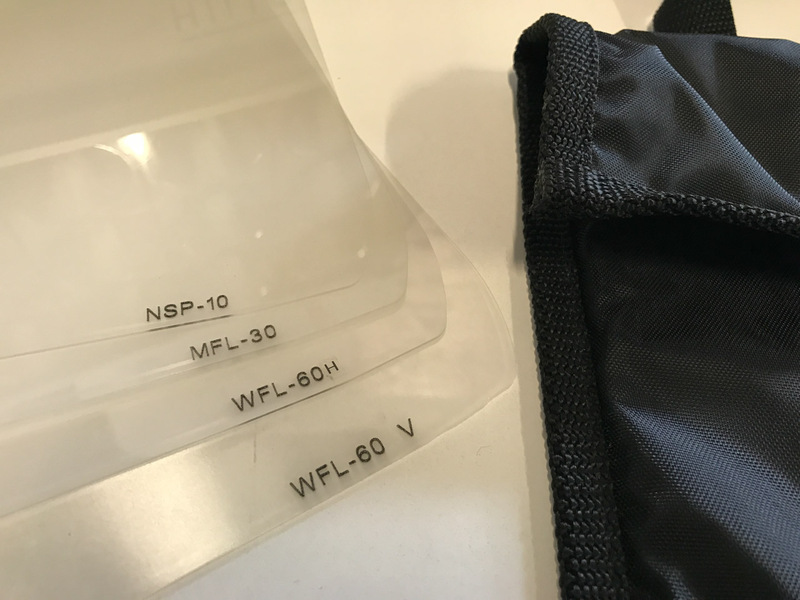 Flicker-free at any frame rate or shutter angle. Ultra-smooth dimming from 100% to 0, with no noticeable color shift throughout the entire range. Our unique Nanoptic lenses convert the powerful open source into a soft light or broad directional fill, delivering flexibility for almost any application. Integrated DMX module, with RJ45 Ethernet connections for remote dimming control with any standard DMX512 protocol device. 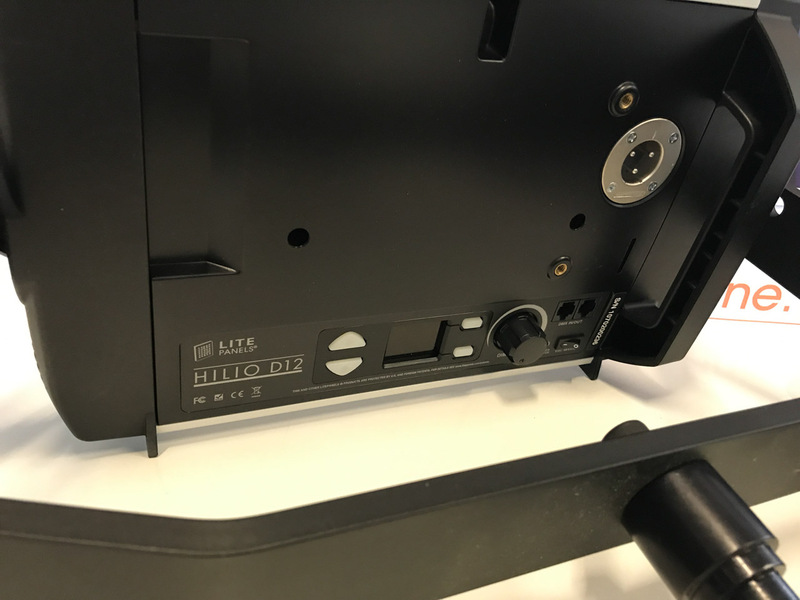 Integrated slots hold color and diffusion gel filters and Nanoptic lenses. Standard Yoke with Junior Pin to enable easy mounting and positioning. User-friendly LCD display and a multi-functional control with menu-based button interface. Removable, external power supply with convenient mounting bracket and other options. 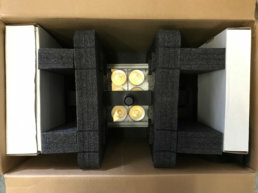 What’s in the box: Hilio D12 Daylight fixture, Manual Yoke, Power Supply and US & EU Power Cord.